If you’re sure you want to close your eBay account, it's an easy enough process. Click on the Close My Account link, fill out the form and submit. Be aware that there may be caveats associated with account closure, in keeping with eBay's terms and conditions. You should read about permanently closing your eBay account before you attempt to do so, to be sure that it's what you really want. If you don't think you're going to use your account frequently, you can just let it go dormant, and it will still be there if you ever decide to use it again in the future. There are some circumstances under which eBay won't allow you to fully close your account. If your account is below eBay's minimum standards, you can't close it until it meets those standards. You can change your mind for 60 days after closing the account. After 60 days, your account will be permanently closed and can't be reopened. You'll have to register a new eBay account to buy or sell items. Many former sellers maintain an active presence on eBay but as buyers only. If you don't want to sell anymore, just deactivate your seller account. You can do this by removing your automatic payment method and selling tool subscriptions. You will still be able to bid, buy items, and otherwise participate, but you won't be able to sell. 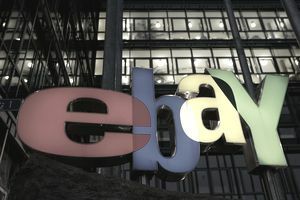 Once you've confirmed to eBay that you want to close your account, there's a waiting period in order to allow any pending transactions to complete. During this waiting period, you won't be able to bid, make purchases, list items or change any contact information in your account. You'll still be able to view your account information, however. Once that waiting period is over, you won't be able to use your eBay username or the email address associated with your (now closed) account to access any parts of eBay requiring sign-in. Your feedback profile won't be visible or available to other eBay members. Be advised that eBay does retain your personal information even after you close your account, as outlined in its privacy notice. It claims this is necessary to prevent fraud and for legal reasons. Closing your eBay account is a large and often unnecessary step. If you’re simply unsatisfied with something that has occurred on eBay, you may want to leave feedback or contact eBay about your problem. It may be easier to resolve than you think. If you change your mind about closing your account during the waiting period, you can contact eBay and ask them to cancel your request. If you change your mind after the waiting period has expired, well, time's up. You can't reopen a closed account. But you can create a new account, with a different email address if you want to keep doing business on eBay. There are some good reasons for wanting to close your eBay account. If you've been the victim of identity theft, or if you've been the target of harassment, it can definitely sour you to the experience of bidding, buying and selling. But make sure you want to end it with eBay before you pull the plug. Once your account is closed, it's closed forever.